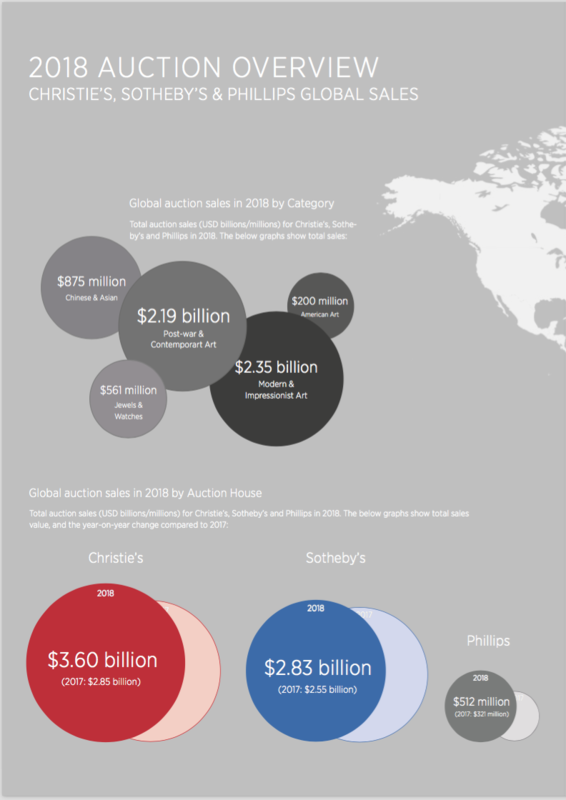 Global auction sales from Christie’s, Sotheby’s and Phillips ended up at $6.95 billion in 2018, up 21.6% from first half 2017. The rise in turnover, was particularly notable in the second quarter of 2018, which raised $5.32 billion in total sales across the three auction houses, up 27% from $4.19 billion in the second quarter of 2017. This followed the more modest growth in Q1 of 6.5%. 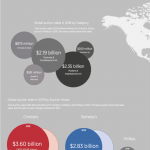 Global auction sales up 21.6% in first half of 2018. 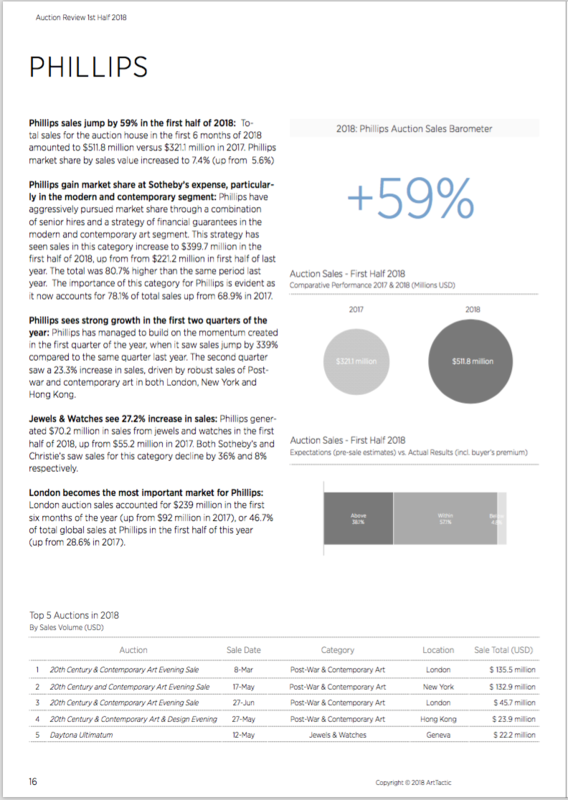 All three auction houses see positive growth in the first 6 months of the year, with Phillips sales jumping 59%. Christie’s and Phillips gain market share at Sotheby’s expense. 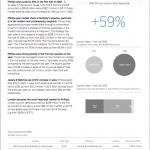 New York gains market share as sales jump 37.3% in the first half of 2018. Modern & Impressionist art market overtakes Post-War & Contemporary art as Rockefeller collections come to New York market in May. This report presents in instant comparative analysis of all auction sales (excluding online-only sales) at Sotheby’s, Christie’s and Phillips in the first 6 months of 2018 (compared to the same period last year). 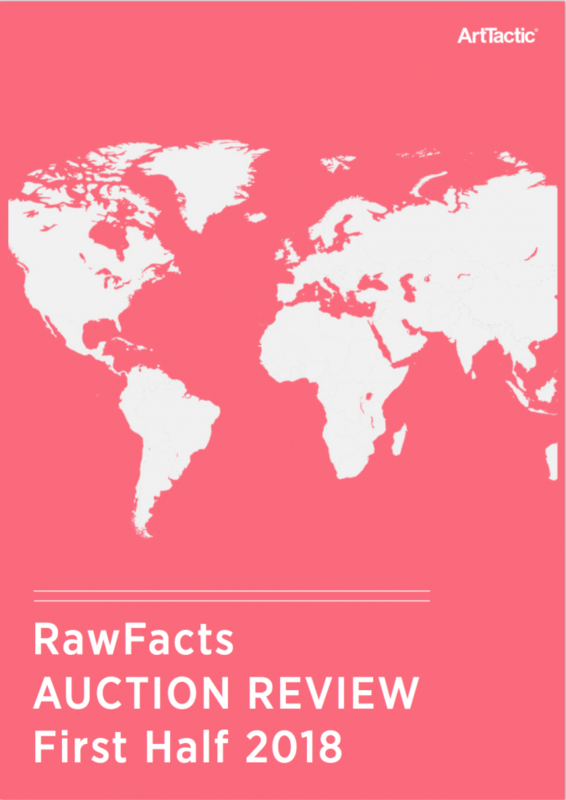 The report allows you to quickly see which auction house is trending, and what collecting segments are the key drivers of growth.